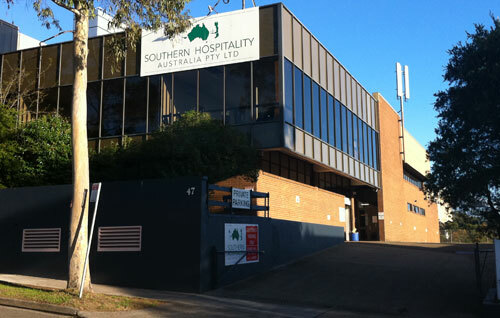 About Southern Hospitality Australia Pty Ltd. It all started in 1974 when a young Sydney man, Roger Fewtrell, married a kiwi girl and moved to New Zealand. Soon after arriving in Dunedin he found work as a sales rep for a local hotel/restaurant supply company. After about ten years with a couple of different companies he decided to go to Uni and finished a degree in Management and Marketing. After graduating he returned to the hospitality supply business and in 1989 Roger started Southern Hospitality. 22 years later, with over 200 staff and 14 branches in New Zealand, he decided it was time to return home to Sydney and open Southern Hospitality Australia Pty Ltd in Artarmon. Since then two more showrooms have been opened – one in Silverwater and one in Alexandria. Our mission is to be the world’s best hospitality and food service supply company and we look forward to being of service to you. Call in and visit our well stocked showrooms—we have plenty of free customer parking and you will be made very welcome.